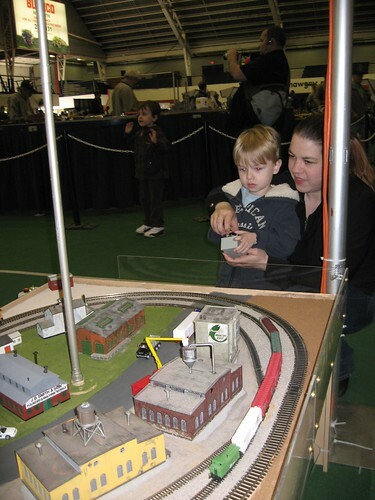 Today, we took the kids to the model train show. It was a huge hit with Dougie – Connie was not as enthralled but she couldn’t see much from where she was. 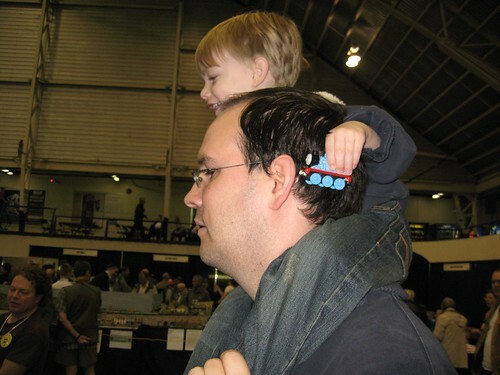 Though I’m sure the model train enthusiast wish we were there for them, we were in fact there for one guy – Thomas. We started off in the back of the show because that’s where the stroller entrance was. 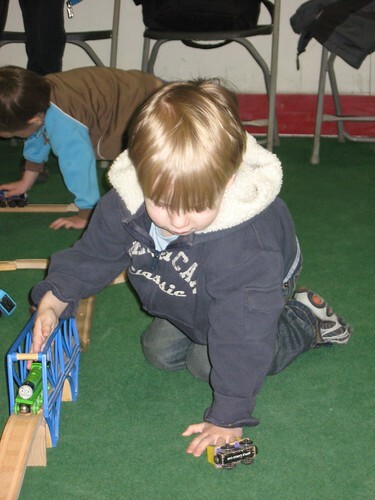 Almost right off the bat, Dougie got to try driving a model train. He didn’t totally “get” what he was doing or why. 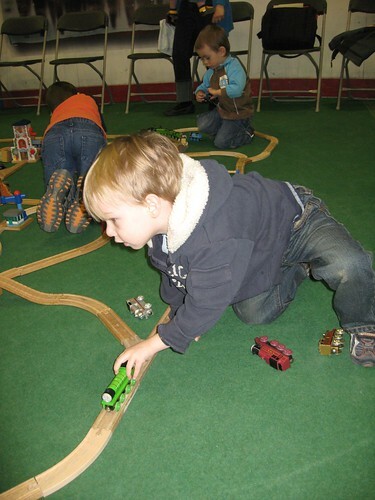 He mostly wanted to pick up the various cars, trains and other things on the table. After a short discussion about what we could and couldn’t touch, we made our way to the Lego table. It was amazing! 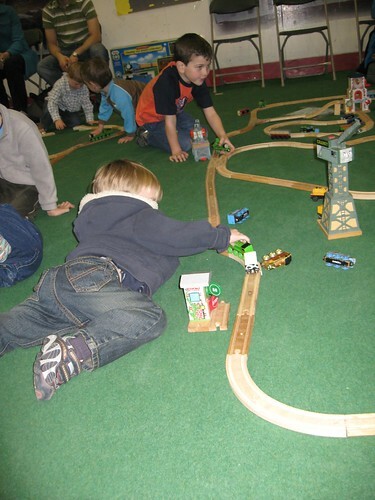 Unfortunately, our pictures just did not turn out, so we continued on to the Lego/Thomas play area. Dougie got right into it. It took a bit of convincing but we did manage to get Dougie away from the trains and onto some of the other areas of the show. There were some very impressive displays! One really caught Dougie’s eye though. The guy running it was so friendly and good with the kids. He asked Dougie which character he’d like to see and then he loaded him up and put him on the track for him. Dougie could have stayed there all day. All in all, a fabulous morning. 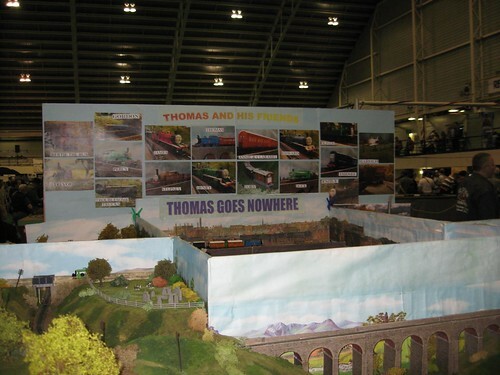 Of course, Dougie is even more interested in Thomas now than he was previously.